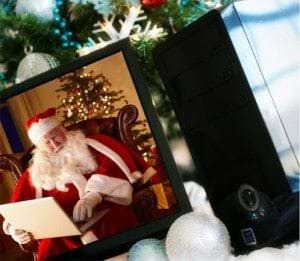 Today Schrock Innovations is changing out the 2010 Holiday Special computer commercial airing on ESPN 1480 and replacing it with a more feature-focused version. The new commercial will begin airing November 29, 2010 and will air through Christmas Eve or until the 2010 Holiday Special is sold out. Click here to download or play the new commercial. This version is similar to the previous ESPN spot that aired throughout the month of November, but includes more specific information about what makes the computer so special. Features like the 120 GB solid state hard drive, the 6-core processor, and its amazing 12 GB of DDR3 memory are specifically mentioned. I hope it would be much better from old one. I clicked on the mentioned link and saw your good creation. Christmas coming and it will rock. Great experience it would be to watch on ESPN. Thats a really cool idea.I hope it works well for you. As I read Informatic holiday special promotion, this year ESPN bring a lot of new stuff that I like. I hope this will increase commercial value and be benefits for upcoming Christmas. Its really a good way to promote anything easily. Such commercials can play big role in any company’s product marketing and can help to earn huge profit. Damn 12gb of RAM?!? Yes you definitely need to mention all of those features. 120Gb hard drive does seem rather small these days though. Great job on the commercial Thor, I really like how you made it simple for folks to understand with the brain reference! I had a chance to see the commercial air around Christmas time. Looked great. Thanks for letting us know about it.